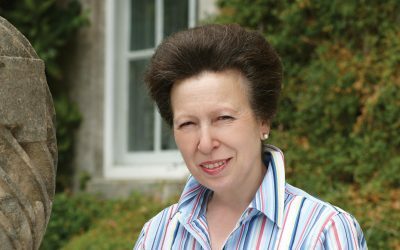 Princess Royal: "Rotary is for communities everywhere"
Princess Anne, who is an honorary member of the Rotary Club of Elgin, in Scotland, spent more than two hours visiting the Rotary in Great Britain & Ireland annual conference in Torquay on April 7th. Besides giving a speech to delegates at the Riviera International Centre, she spent considerable time touring both the Rotary Showcase and exhibition area chatting to Rotary members and charity representatives. “This is an organisation I have grown up with, meeting and seeing Rotarians almost wherever I have been all over the world. And they have always been busy,” she told delegates in a 15-minute speech to the conference. Her Royal Highness used the speech to turn the spotlight on a number of charitable projects, include the Chaffinch Trust. Based in Elgin, the Trust encourages charities, organisations and individuals to collaborate and work together to improve conditions for those living in disadvantaged areas. Princess Anne, who is president of the Save the Children Fund, highlighted some of the work this charity had conducted in the early 1980s through the Stop Polio initiative, a mantle which was later picked up by Rotary International through the End Polio Now campaign. This was a classic case of joined-up thinking, she said. She praised the structure and discipline of Rotary International which has meant that the world is now so close to eradicating polio. “What Save the Children recognised, and has been hugely grateful for, is the way in which Rotary picked up the challenge of stopping polio,” she added. “Rotary understood the way it could make a real difference and how well prepared it is as an organisation to apply that discipline to deliver the polio vaccine over a much wider global reach. Princess Anne cautioned that even though the end is in sight towards eliminating polio, the world had to remain strong and resilient with a commitment towards immunisation once the disease has been eradicated. Praising the initiative of Rotary in tackling dementia, its work around peace and the peace scholars, and also with promoting the Duke of Edinburgh Award, particularly among young carers, the Princess underlined the work which the organisation does at grass roots level. “Rotary is for communities everywhere,” she said. “Rotary understands the communities in which it lives and it is involved, of course, in many projects. “I see and I know what a difference Rotarians make in Great Britain and Ireland, and also overseas. 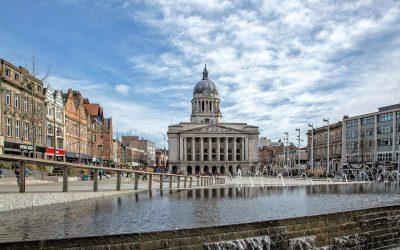 “And with more than 1,700 Rotary clubs here, supporting a wide range of projects, backed by fund-raising and for your hands-on service, it is little wonder that Rotary members are busy.